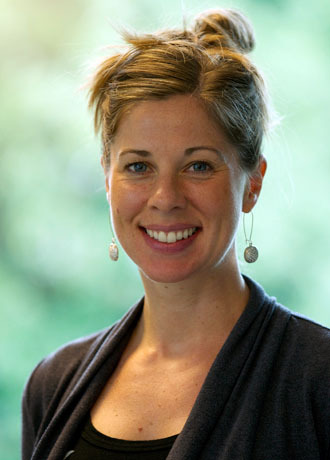 Meet Amy Spencer, Licensed Acupuncturist, Masters in Acupuncture and Oriental Medicine. She has been practicing at NW Family Wellness Center since July of 2013. Amy received her BA in Psychology at the University of Puget Sound in 1999. She continued her education at the Oregon College of Oriental Medicine where she earned Master’s degrees in both Acupuncture and Chinese Herbal Medicine. Amy practices two types of eastern medicine: Traditional Chinese Medicine and Japanese Meridian Therapy. Amy’s first exposure with Acupuncture was in 2001 when she went to a local practitioner for hip pain and chronic colds. After the third session she began to see remarkable improvements. It was then that she became intrigued with Chinese Medicine and started her journey to become a practitioner of this medicine. Amy is dedicated to helping those that struggle with chronic conditions and educating her community about the benefits of holistic medicine. Amy continues to diversify her skills by attending workshops, gaining additional certifications in Japanese styles of acupuncture, and working as an assistant teacher at the Oregon College of Oriental medicine. As an Oregon native, Amy has always appreciated her natural environment and enjoys being outdoors. Her love of hiking, biking, snowboarding, and swimming have kept her in the Northwest. Oregon College of Oriental Medicine #8211; Masters of Acupuncture and Masters of Chinese Herbal Medicine.